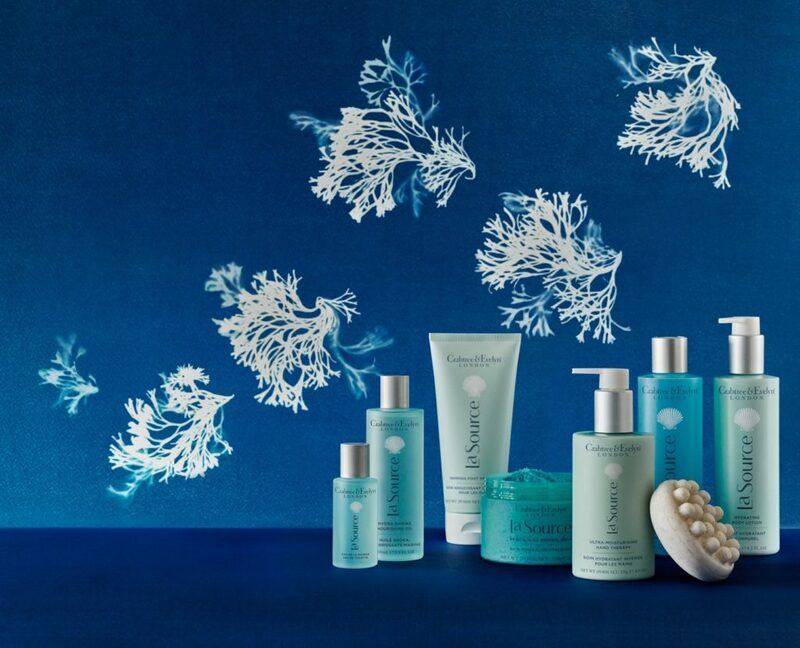 Inspired by the restorative power of the sea, Crabtree & Evelyn La Source® collection contains a wealth of marine goodness for your skin, hair and body. Within the range there are four Marine Blends, each containing our new hero ingredient Green Seaweed Extract combined with a specific Marine-Based ingredient to boost skin benefits. Nurture your skin and soothe your senses with the newly reformulated La Source® collection from Crabtree & Evelyn, now featuring two new products and a wealth of powerful marine ingredients. Each marine blend has been created to provide specific, targeted benefits and includes antioxidant-rich Green Seaweed Extract. 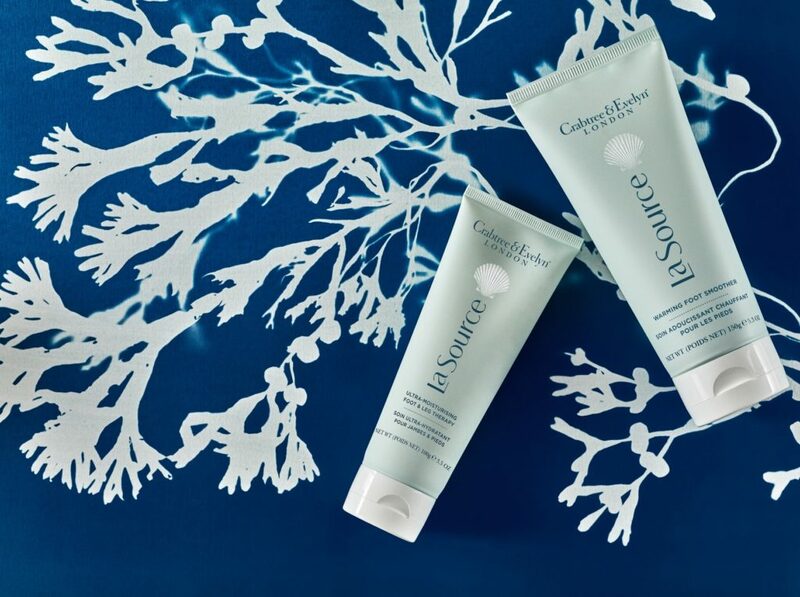 Naturally rich in vitamins and minerals, seaweed plays a key role in the new La Source® formulations. Cultivated by the sea and captured by Crabtree & Evelyn, our rich marine ingredients are known to help restore suppleness and vitality. Four richly restorative marine blends and our new hero ingredient, antioxidant-rich Green Seaweed extract, imbue the skin with powerful, nourishing marine goodness. Discover the La Source collection with two NEW products: the intensely moisturising Hydra Marine Nourishing Oil and the uplifting oceanic Eau de Toilette, Eau de La Source®. Featuring a replenishing blend of refined oils, our indulgent dry oil is a multi-purpose miracle worker, nourishing face, body and hair with its lightweight, non-greasy formula. Moroccan Argan Oil, Sesame Seed Oil and Apricot Kernel Oil leave skin and hair supple and satiny soft, while our reparative Hydra Marine Blend of antioxidant-rich Green Seaweed extract and Blue Sea Lavender, nourishes and conditions. Take your senses on a journey with the new Eau de La Source® EDT, featuring a delicate marine accord and our antioxidant-rich Green Seaweed Extract. Experience the tranquillity of deserted shores as the spa-like scent of crisp ocean breezes, marine aromas and clean citrus notes soothes your soul and revitalises your spirit. Golden notes of amber evoke the warmth of rich sunsets, while Petitgrain and Basil bring to mind far-flung beach destinations. Elevate bathing to a spa experience with this triple-milled moisturising soap. Features our Refreshing Marine Blend of anti-oxidant-rich Green Seaweed Extract and purifying Brown Algae Extract. With nourishing Shea butter this bar is non-drying and preserves skin’s natural moisture balance. Work the marine enriched suds over wet skin. Rinse and pat dry. Finish with La Source® Body Lotion or La Source® Ultra Moisturising Body Cream. Enriched with ocean goodness this indulgent Body Wash cleanses, conditions and moisturises in one step. Features our Refreshing Marine Blend of anti-oxidant-rich Green Seaweed Extract and purifying Brown Algae Extract. Formulated with mineral-rich Dead Sea Salts to condition the skin as you cleanse. The gentle pH-balanced formulation restores natural moisture balance, leaving the skin supple, soft and lightly perfumed with the scent of crisp, clean sea air. This creamy scrub refreshes, reawakens, exfoliates and softens skin. Features our Refreshing Marine Blend of Green Seaweed Extract and purifying Brown Algae Extract. Pumice and Sunflower Wax Beads polish the skin revealing a youthful appearing surface.. Squeeze a little scrub into your palm or onto a damp sponge. Work in circular movements all over the body paying special attention to drier areas like the elbows and knees. Rinse away, pat skin dry and finish with La Source® Body Lotion or La Source® Ultra Moisturising Body Cream. Bathe in this exquisite blend of sea salts, plant extracts and minerals and bring the restorative power of the sea to your bathroom. Rejuvenate the senses with our Refreshing Marine Blend of anti-oxidant-rich Green Seaweed Extract and purifying Brown Algae Extract. A blend of Epsom Salt and Dead Sea Salts disperse skin-conditioning mineral nutrients while the ocean-fresh, sea breeze fragrance with a hint of peppermint oil reinvigorates tired senses. This easy grip bar is your one-stop solution to cleansing, exfoliating and massaging. Features our Refreshing Marine Blend of anti-oxidant-rich Green Seaweed Extract and purifying Brown Algae Extract. Apricot Seed Powder and Walnut Shell Powder buff the skin’s surface to a gleaming finish, while a nubbed edge provides a stimulating massage action. Use the rounded side to gently exfoliate dead skin cells. Massage the specially nubbed side, in small circular movements, all over tired muscles. Rinse skin and pat dry. Quench and condition your body with this lightweight easily absorbed lotion. Features our Hydra Marine Blend of anti-oxidant-rich Green Seaweed Extract and nourishing Blue Sea Kale. The luxurious lotion is further enriched with nurturing vitamin E, shea butter and glycerin, to lock hydration and restore the skin’s softness while the subtle fragrance of fresh sea air transports the senses. An ocean-enriched wake up call for the senses. Features an anti-oxidant-rich Green Seaweed Extract, and an Amino Acid Blend to conditions the skin leaving it soft and revitalised. Fresh essences of peppermint stimulate and awaken. ALL OVER BODY: Spray all over throughout the day to keep the body refreshed. LEGS: Perfect for misting over tired or heavy legs. Eau de La Source® introduces a unique, delicate marine accord. Fragrant notes capture memories of sparkling, azure-blue oceans. Features an anti-oxidant-rich Green Seaweed Extract. Harnessing the uplifting ozonic aroma of marine plants and minerals, clean citrus notes mingle with the fresh sea air scents. Notes of Petitgrain and Basil are reminiscent of sumptuous destinations, and golden notes of amber evoke the warmth of rich sunsets. Beautiful skin starts at night, for your skin to recharge and feel like a dream. Treat hands to an intensive “beauty sleep” therapy with our specially formulated night-time preparation that gets its work done as you sleep. The rich formula that contains our rejuvenating marine blend and a concentrated complex composed of amino acids, vitamins and arginine, is designed to enhance the skin’s natural barrier, maintain its natural moisture levels and soothe dryness. Indulge your skin in restoring goodness and waken to smoother, softer, nourished hands. This luxurious Hand Wash conditions and moisturises as it cleanses. Features our Refreshing Marine Blend of anti-oxidant- rich Green Seaweed Extract and purifying Brown Algae Extract. Gentle, soap-free, pH-balanced and infused with a clean sea air scent. Naturally derived surfactants from sustainable sources cleanse without stripping moisture. Apply to moistened hands and work into a creamy rich lather. Rinse thoroughly, pat dry and finish with La Source® Hand Therapy. The secret to glossy, healthy looking nails. Features our Restorative Marine Blend of anti-oxidant-rich Green Seaweed Extract and protecting Red Sea Algae. Panthenol promotes strong and healthy nails, preventing breakage and fraying keeping nails supple and glossy. Shea Butter softens cuticles while Glycerin moisturises. Pamper and nourish your hands daily with this ocean-enriched treatment. Features our Restorative Marine Blend of anti-oxidant-rich Green Seaweed Extract and protecting Red Sea Algae. Myrrh Extract helps condition nails and cuticles, while Macadamia Nut Oil and deeply-moisturising Shea Butter provide soothing care for hands. The hydrating power of Hyaluronic Acid and Ceramides contribute to improve the skin’s natural moisture barrier. Treat your hair with this ocean rich conditioner to revitalize, detangle, add shine and moisturise hair. 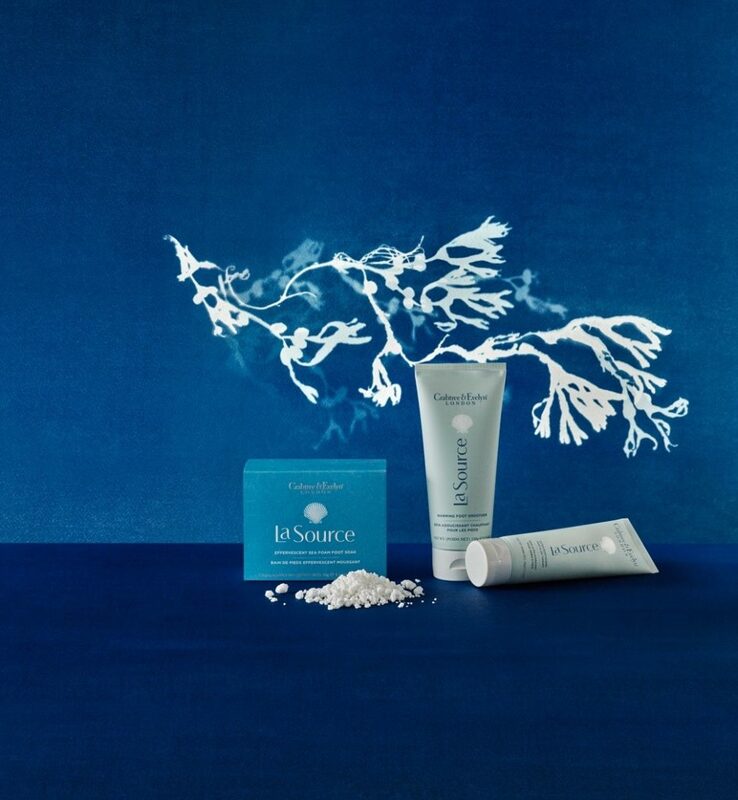 Features our Refreshing Marine Blend of anti-oxidant-rich Green Seaweed Extract and nourishing Blue Sea Kale. The lightweight formula leaves hair soft, smooth and shiny without weighing it down. Release the supremely relaxing sea breeze fragrance as you massage it through the hair. Enjoy full, voluminous-feeling hair with this mild marine-enriched shampoo. Features our Refreshing Marine Blend of anti-oxidant-rich Green Seaweed Extract and purifying Brown Algae Extract. The relaxing sea breeze scent soothes the senses as you massage this richly-lathering shampoo from roots to tips. A luxurious spa experience for beautifully revived feet. Features our Refreshing Marine Blend of anti-oxidant-rich Green Seaweed Extract and purifying Brown Algae Extract. Citric Acid acts as gentle exfoliator while mineral-rich Dead Sea Salts helps to condition the skin for silky soft feet. Pour the contents of one packette into a foot tub filled with warm water. Immerse your feet in this mini spa experience for four minutes or more. Relax and enjoy the foaming action that will massage and reinvigorate your feet. This beauty miracle worker reinvigorates, supremely moisturises and enhances the appearance of feet and legs. Features our Restorative Marine Blend of anti-oxidant-rich Green Seaweed Extract and protecting Red Sea Algae. A special protein extract found in Antarctica rids feet of rough, dry callused skin in as little as 14 days to help maintain youthful looking legs. Capture the silky soft feeling of feet with this 3-in-1 intensely exfoliating and moisturising foot treat. Features our Hydra Marine Blend of anti-oxidant-rich Green Seaweed Extract and nourishing Blue Sea Kale. Ultra-refined Tahitian volcanic sand, fine pumice and salt crystals exfoliate stubborn hardened skin areas while shea butter and rice bran oil soften and condition. The rich cream creates a self-warming sensation as you work it over feet, adding an indulgent, soothing note to the spa-like experience.